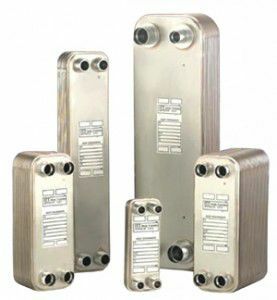 BPX™ Brazed Plate Heat Exchangers offer the highest level of thermal efficiency and durability in a compact, low cost unit. The corrugated plate design provides very high heat transfer coefficients resulting in a more compact design. The units stainless steel plates are vacuum brazed together to form a durable, integral piece that can withstand high pressure and temperature.